Manufacturer of a wide range of products which include hsrd-01 high speed rolling door, steel rolling door, high speed rolling doors and high speed doors. 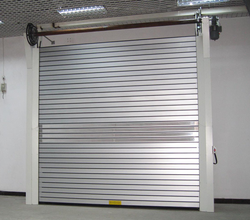 In series of delivering the wide array of HSRD-01 High-Speed Rolling Door that is manufactured to perfection. We offer them a thermostatically balanced range of High-Speed Roll up Door. Our entire product range has high strength and also add the attractive look to the surrounding. We are one of the leading Roll Up Doors manufacturers in India. Our range of Rollup Doors is hugely demanded by a large clients based in India as well as abroad. These are made using high-quality steel to impart them strength and durability. Roll Up Doors offer smooth and easy operation with least efforts. 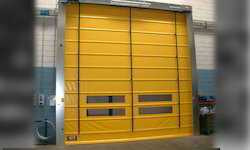 We are offering High-Speed Rolling Doors to our clients. We are offering High-Speed Doors to our clients.